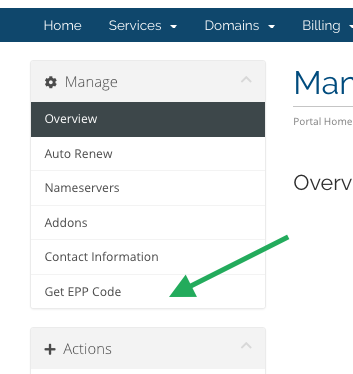 How do I get the EPP/Transfer code for my domain? Log into the customer's portal. 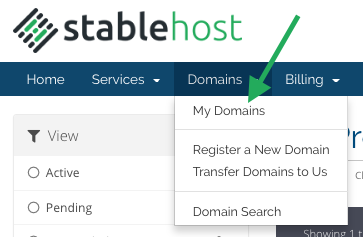 If you don't see this option on your domain, is because it does not support a direct access to the Transfer code. Please contact us and we will happy to provide the code.